The week before Thanksgiving Charlie and I took a relaxing pre holiday vacation . 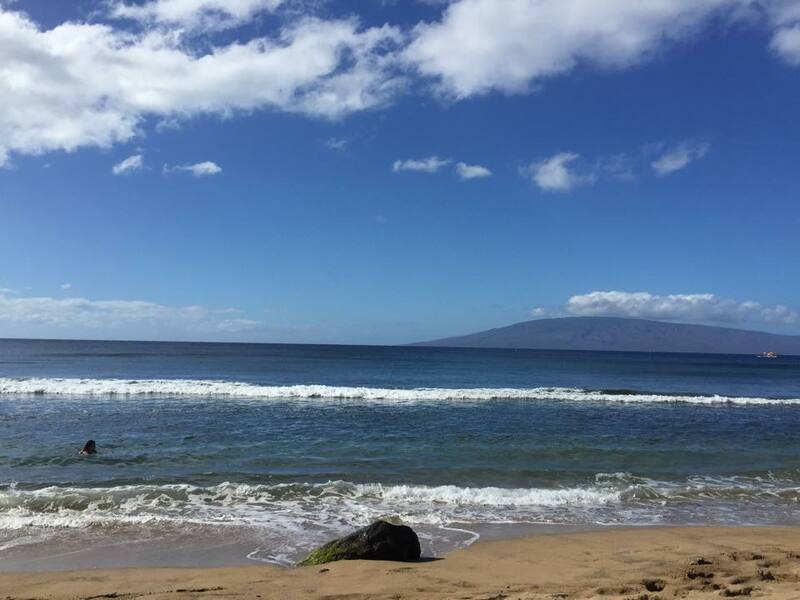 Our destination – Maui, Hawaii – prefect weather and ZERO nightlife. Our vacation didn’t include much more than applying sunscreen and sitting in a beach chair. It was fantastic and just what I wanted. 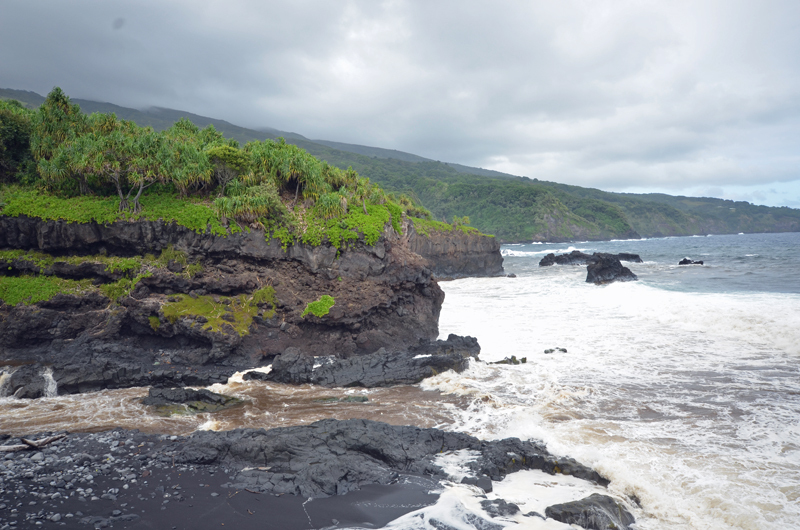 We did however take a day to drive the famous Road to Hana. Amazing! This iconic trip has it all: waterfalls, rain forest, beaches and rainbows. 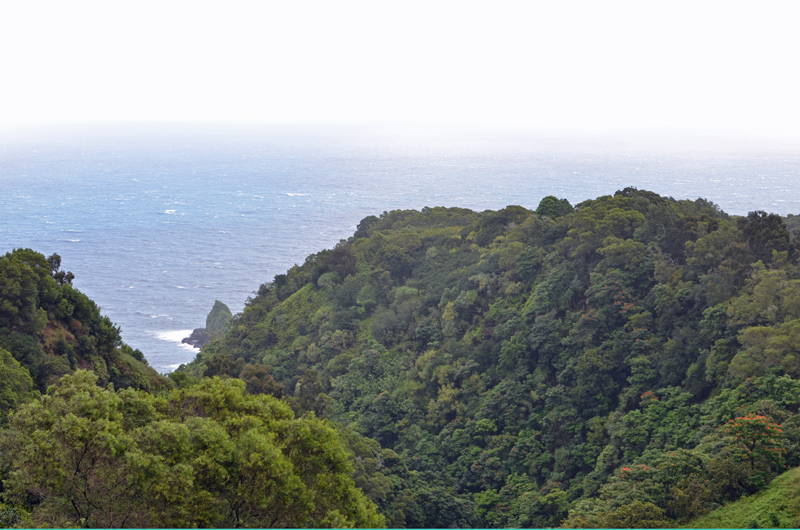 The trip is definitely about the journey (not much in Hana). 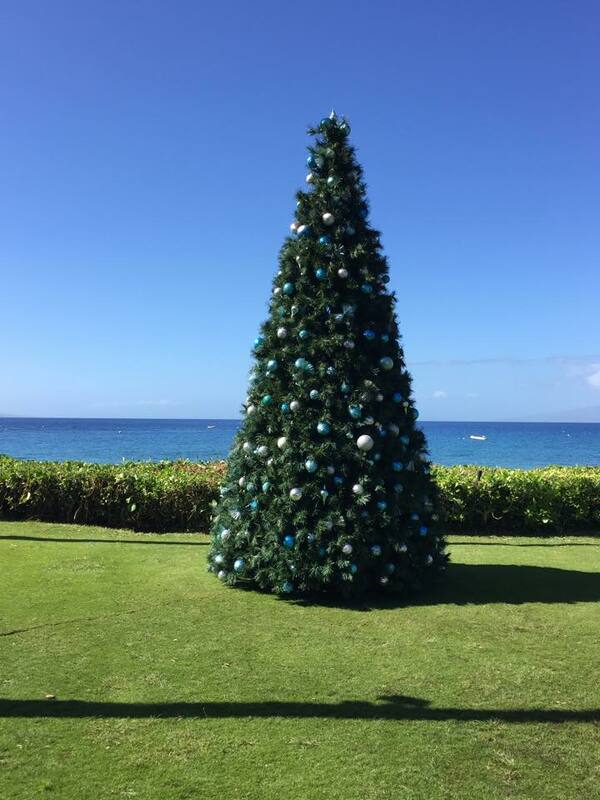 We started our trip early, around 7:30 AM, from Paia. At our first stop, Twin Falls, it poured rain. 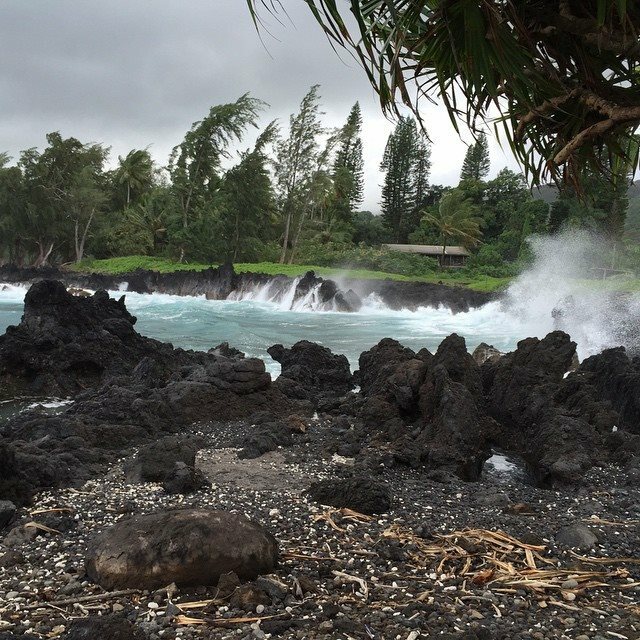 Unfortunately, the day we chose to take our Road to Hana trip it rained ALL day. Thus, we didn’t get to go swimming or jump off a cliff into the ocean. But nonetheless, the trip was spectacular. 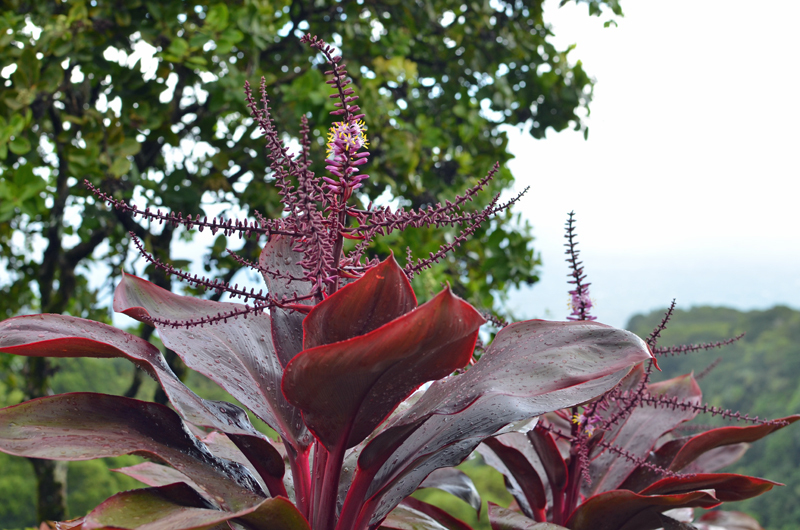 We toured the Garden of Eden, a botanical garden where we saw Keopuka Rock. It is the rock seen in the opening scene of Jurassic Park. 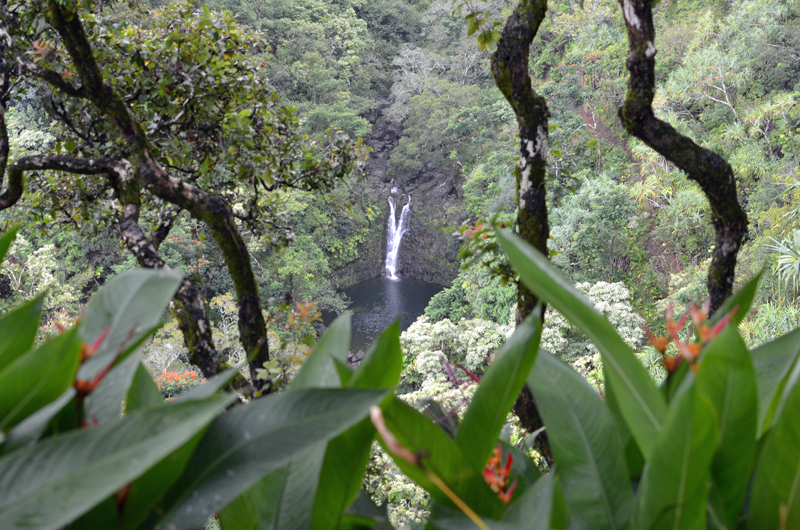 The arbordum is slightly pricy but has some great views of Puohokamoa Falls and a wonderful exhibition of Maui’s flora. It was well worth both the time and money we spent. There were very few tourists and the grounds were perfectly kept. 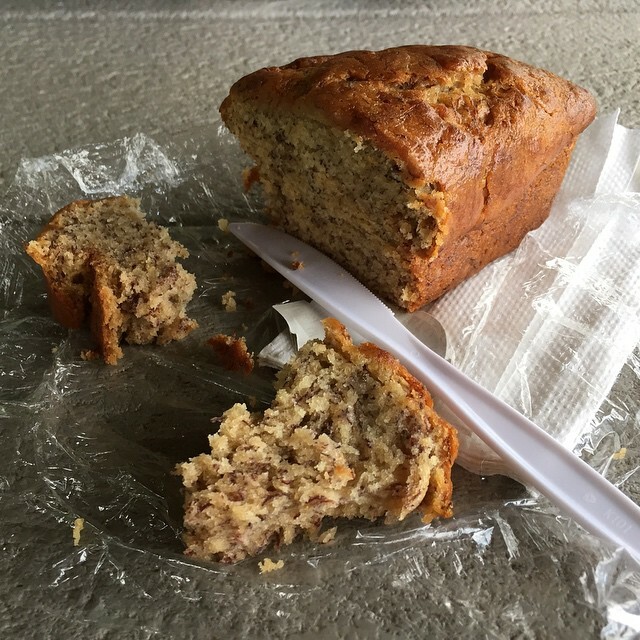 Hungry after Twin Falls and the Garden of Eden, we stopped at Halfway to Hana for a snack of some pretty delicious banana bread. 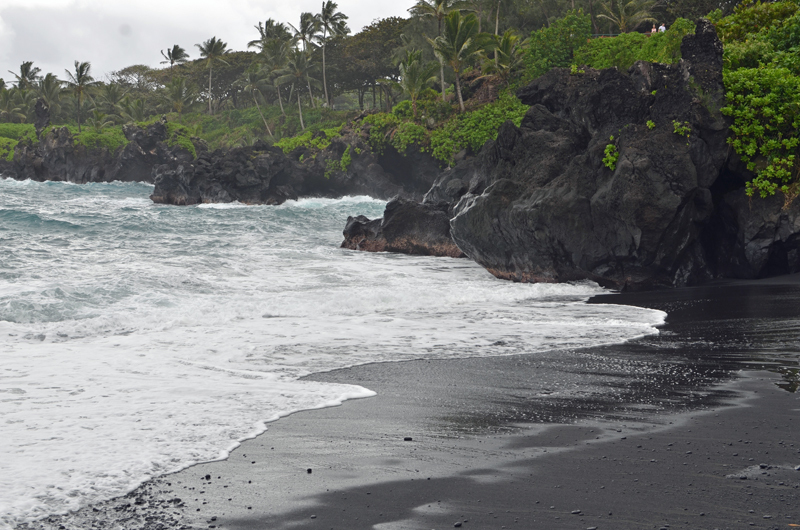 We visited Waiʻanapanapa State Park with the amazing the black sand beach. The green trees against the black lava rock almost didn’t look real. Even with heavy cloud cover the trees were vibrant green and almost looked fake. Continuing our drive and finding a place to eat lunch (there are not a lot of place to eat but there are a few) we made it Hana earlier than expected (seriously nothing to see in Hana) so we continued on to the end of the rental car approved driving road. 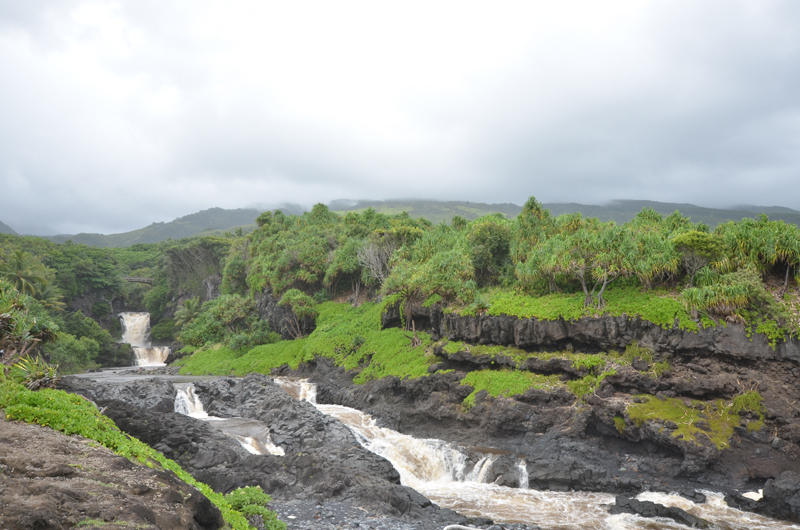 Our last stop on this amazing drive was the Ohe’o Gulch, aka the Seven Sacred Pools. There are several falls that flow through the Gulch. I was a bit disappointed that we couldn’t go swimming in the pools due to weather but the views were still amazing. 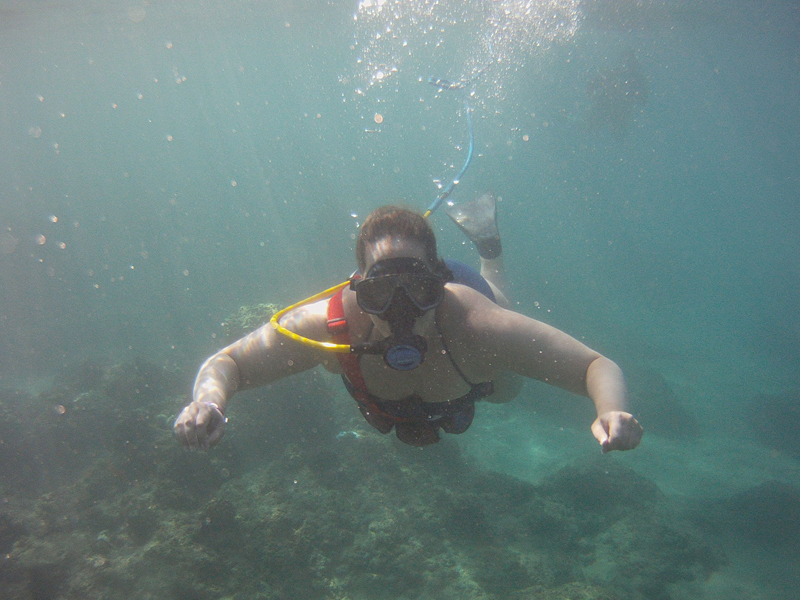 We had an amazingly relaxing time in Maui. It was the perfect pre-holiday madness trip. But lets face it…the picture below is just WRONG. Thank for finding the Garden of Eden.